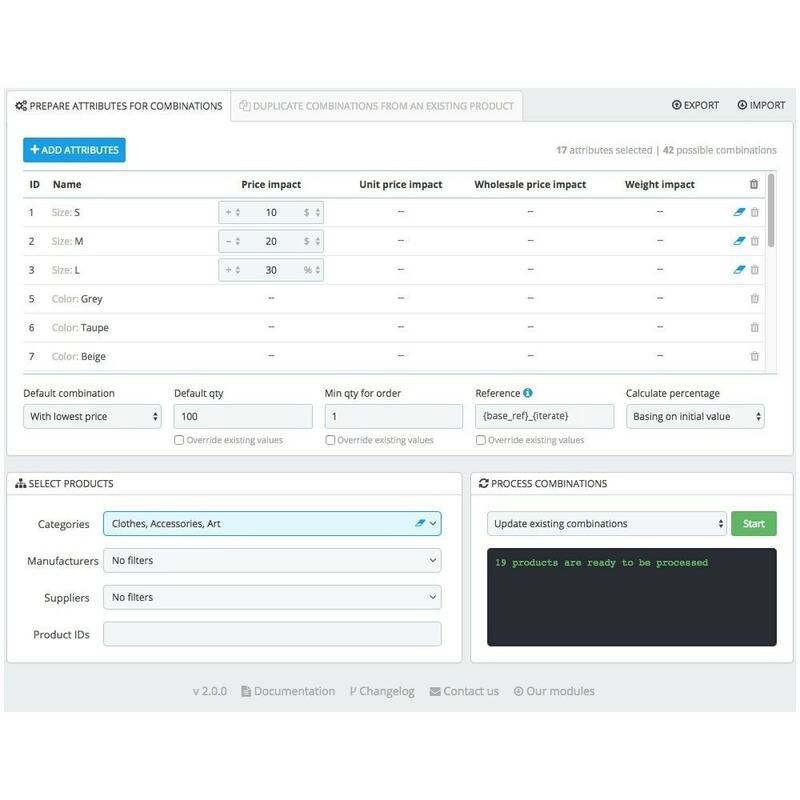 This module is a very handy tool for those need to add/update combinations for multiple products. You can create new sets of combinations for each product, or you can add new attributes to existing combinations. Moreover you can set price/weight impacts for each of selected attributes. 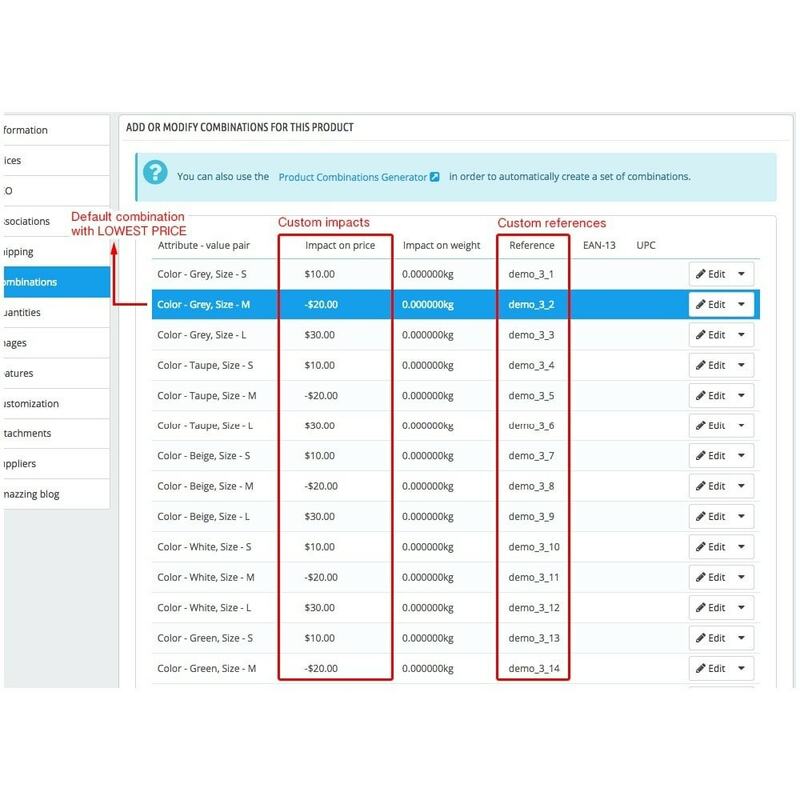 There is additional option for duplicating all combinations from one of existing products. With this option you don’t have to select any attributes or specify price/weight impacts. You just have to specify original product ID. 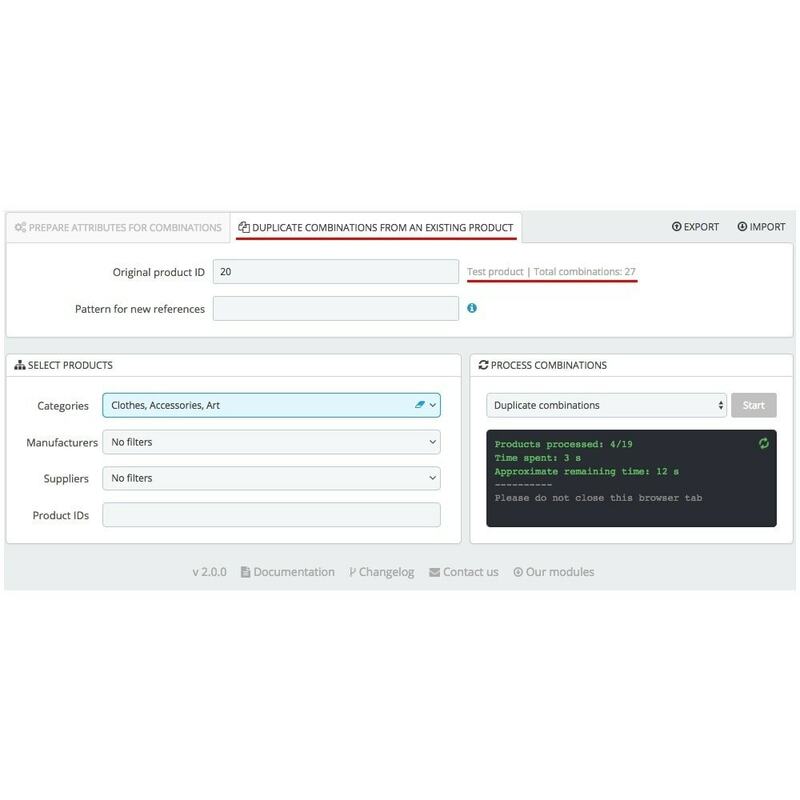 Module will automatically detect combinations of specified product and duplicate them to other products. This module generates combinations in a native way, same as if you added/updated them manually on product sheet, and clicked SAVE button. After combinations are generated, module does not take part in displaying them on product/category pages. NOTE: Technically this module can generate thousands of combinations for each product. But we wouldn't recommend you to generate more than 1000 combinations per product, because PrestaShop is not designed for that. Some shops can handle 2000 - 3000 combinations if server is powerful enough, but in most cases if product has more than 1000 combinations, it is getting hard to maintain it.